Yvonne Adhiambo Owuor, Kenyan screenwriter and winner of the Caine Prize for African writing. A young woman named Ajany returns to her homeland in Kenya to investigate the circumstances surrounding her brother's murder. Maybe Desert Ghost. I have to say, just about anything would be more intriguing than Dust. 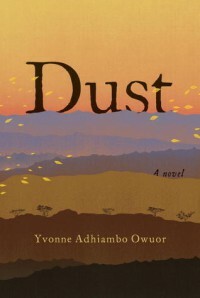 Dust is less about a single person than a group of interconnected individuals, but the focus falls mainly on Ajany Oganda. For Ajany, I would choose Lupita Nyong’o of 12 Years a Slave. The violent political climate prompts me to say no, however, parts of Owuor’s Kenya are still starkly beautiful. "In the contours of old pasts, she retrieves an image: Ajany and Odidi sitting on a rock, spying on the sun's descent. She is leaning against Odidi's broad shoulder, pretending she could read the world as he did. She stammered, 'Where's it going?' He said, 'To hell.'" Dust is a novel of conflict; both in the narrative and in the prose itself. Sometimes lucid and piercing, sometimes merely chaotic, Owuor sketches a country in the midst of great turbulence with writing that is lush but choppy. Intriguing visuals are combined with a jarring sense of perspective, occasionally making it difficult to disentangle what is happening from scene to scene. Along this vein, Dust has a poetic, indirect structure that can be simultaneously appealing and frustrating. Characters bounce in and out with little to no introduction, and the plot never truly coheres into a solid form. One minute Odidi and Ajany are in school, the next, they’re off married and living in Brazil, respectively. Why? 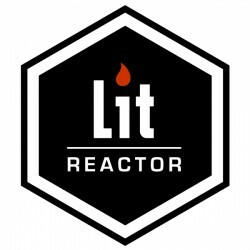 Whether it’s by the author’s design or not, never expect absolute transparency here. Odidi’s demise is particularly difficult to follow; he straddles death and life for almost a chapter, never quite identifying his killer or their motivation. The story is less driven by individual growth than it is by the character of an entire country. Owuor’s lyrical observations on Kenyan life— from passing details on the landscape, to complex political issues—are some of the most memorable moments of Dust. The coffee and pineapple plantations, ibises and machine gun chatter; Owuor’s Kenya is a potent mixture of natural beauty and the kind of extreme ugliness that only follows war. Folklore and superstition are mingled throughout the story, adding yet another layer of cultural intricacies to an already irascible and convoluted equation. Dust is not a perfect novel, but it is a powerful one. While those in search of a tightly woven page-turner would do better to look elsewhere, a strong cultural backbone and passionate voice make Owuor’s novel of death and family in Africa a thought-provoking read, at the very least.